It’s been a while since Norwegian developer and publisher Funcom released a game. The last one was The Secret World and it didn’t do very well; just a couple of weeks ago, Games Industry reported that the company was “actively seeking interested parties for discussions surrounding a possible investment, acquisition, merger, or any other available options”. They did not cease developing games, though. 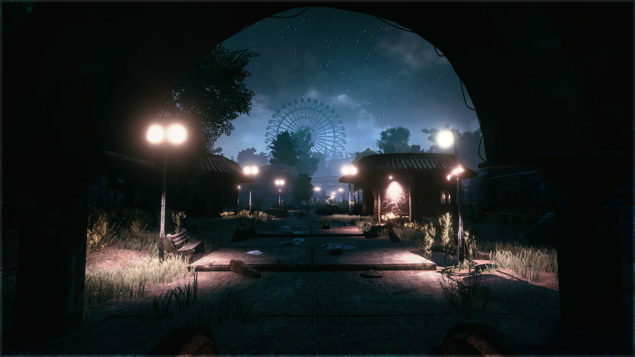 In fact, a press release announced The Park, a new title which is scheduled for release on PC in October this year. This game marks a comeback to single player games for Funcom, as they are usually known to be MMO developers after Anarchy Online, Age of Conan and The Secret World but they also made Dreamfall: The Longest Journey a few years ago. It has been very exciting and creatively energizing for us working on a single-player experience again. ‘The Park’ is actually the outcome of what started with a small group of developers experimenting with new concepts and looking at how we could draw upon the universes we have built for our massively multiplayer online games and expand upon them into smaller-scale single-player games. Something special started to take shape, and ‘The Park’ ultimately became something we are eager to share with the rest of the world. We know very little about the game outside of this short description, but more details will be revealed in the coming weeks. The Park’ puts you in the shoes of a mother, Lorraine, whose son Callum goes missing. When night falls and the lights go out, what follows is a short, but intense horror story set against the backdrop of an amusement park where a dark and sinister secret is just waiting to be uncovered. Enjoy this teaser trailer for The Park and stay tuned if you want to know more about it.